As sea levels continue to rise, more areas of the coastal Everglades will be susceptible to salt water intrusion, according to a new FIU study. Sea levels rose 2.2 centimeters annually from 2011 to 2015, according to scientists in FIU’s Southeast Environmental Research Center and FIU’s Sea Level Solutions Center. In 2012, sea levels rose 10 centimeters in the dry season months of December to May and have not subsided. Many factors contributed to the drastic increase in 2012, including melting ice sheets, a strong La Niña season in 2011, and slow ocean currents that allowed sea water to pile up along coastlines. Parts of the coastal Everglades that were once flooded by sea water about 70 percent of the time are now covered by sea water 90 percent of the time. Tamiami Trail, which connects Tampa to Miami, prevents the natural flow of water in the Everglades from north to south. Resource managers release fresh water into the Everglades during the wet season from June to November, an effective tactic in fighting salt water intrusion when sea levels are highest. 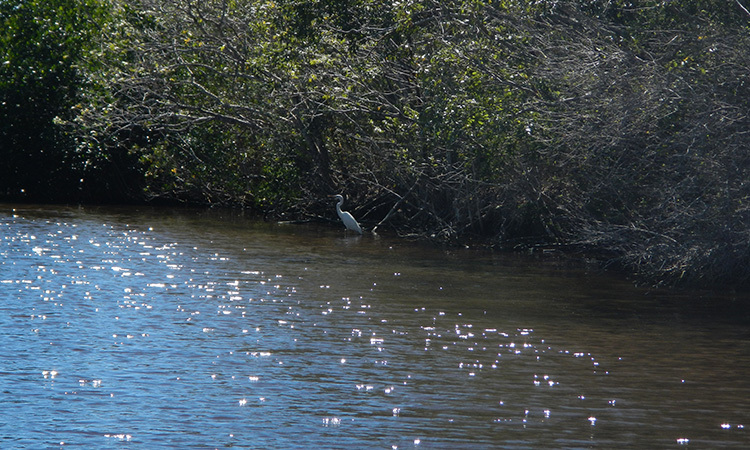 But salt water can move inland during the dry season when fresh water is not released into the Everglades. The scientists relied on data collected by the Florida Coastal Everglades Long-Term Ecological Research (FCE-LTER) Program. Housed at FIU and funded by the National Science Foundation, the FCE-LTER Program studies how water, climate and people affect the Everglades.